Help improve swine health by learning to identify the various concepts and strategies involved in genetic selection and be able to apply those concepts to disease resistance and health improvement; evaluate the impact that genetic selection has on disease epidemiology and pathogen evolution and apply the application of these concepts to the porcine reproductive and respiratory syndrome (PRRS) virus. PRRS is deeply affecting the US and global swine industries. PRRS virus is commonly managed on farms through immunization protocols, to decrease the impact of the disease, and biosecurity measures to prevent the introduction of new strains. However, there are limitations to these control actions. Genetics is a fast-evolving field, and it can become challenging for a swine professional to stay current on all the advances made on a daily basis. Furthermore, genetic selection programs are complex and require a comprehensive understanding of the methods and strategies employed by breeding stock companies to deliver genetic improvement. Register online when registering yourself and paying with a credit card. After registering you'll receive "Registration Confirmation" and "Receipt" emails from notifications@instructure.com (make sure your email is set to recognize this address or check your spam folder). Refunds are not granted for cancellation. If you have any questions, please contact pboyer@umn.edu. There is a growing recognition of the role that host genetics plays on disease. Over past years there has been a significant shift in genetic selection programs to include genetic strategies to improve animal health. However, genetics is a topic veterinarians are seldom exposed to during their training years. This online class is designed for anyone interested in learning more about genetic selection and the application of genetic improvement strategies to enhance animal health. The course will identify basic concepts of infectious disease biology and provide an introduction to genetics and genetic selection, including the use of genomics in genetic improvement programs and the implementation of genetic selection for disease resistance. Finally, the course will focus on the application of genetics in the control of porcine reproductive and respiratory syndrome virus. This self-paced online course will take 30 hours to complete. At the end of the Canvas course, you will have the opportunity to request your certificate of completion by completing a brief Google form. Please allow 10 business to process your request. Dr. Andreia Arruda graduated as a DVM in 2010 from Sao Paulo State University (UNESP, Brazil). She received her MS degree from the University of Minnesota in 2012 and her PhD in Epidemiology from the University of Guelph in 2015. Dr. Arruda's main area of interest involves the use of novel epidemiological approaches to investigate large animal infectious disease transmission and to support the development of effective control, prevention, and surveillance strategies. Currently Dr. Arruda works as an Assistant Professor in the Department of Preventive Medicine at The Ohio State University. Dr. Perle Boyer received her DVM degree from the National Veterinary School of Toulouse, France. She practiced in Brittany before moving to North Carolina, where she taught swine medicine for several years. She is now coordinating the education efforts of the swine group at the College of Veterinary Medicine, University of Minnesota. Jack Dekkers grew up in the Netherlands and received BSc. and MSc. degrees from the Wageningen Agricultural University and a PhD from the University of Wisconsin in Animal Breeding. From 1989 to 1997 he was on faculty at the University of Guelph, working closely with the Canadian industry on genetic improvement of dairy cattle. 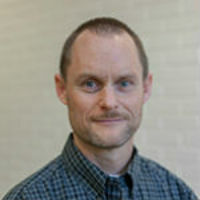 He moved to Iowa State University in 1997, where he currently is a C.F. Curtiss Distinguished Professor and Leader of the Animal Breeding and Genetics group. Current research focuses on the genetic basis of feed efficiency and health in pigs and on the integration of quantitative and molecular genetics, including whole genome selection, with applications to swine and poultry. 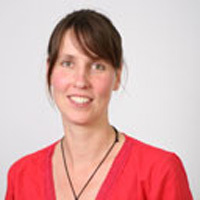 Andrea Doeschl-Wilson grew up in Bavaria, Germany, where she obtained a MSc. in pure mathematics. She then moved to Canada to carry out a PhD in Applied Mathematics at the University of Western Ontario (2002). After working four years as a research scientist at the Pig Improvement Company (PIC), she moved back to academia. She currently holds a group leader position at the Genetics and Genomics division of the Roslin Institute, University of Edinburgh in Scotland, UK. 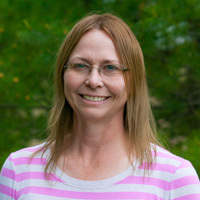 Her research over the last 14 years has focused on the development and application of mathematical and statistical models to study infectious disease dynamics and other dynamic processes (e.g., growth, aggression) in domestic livestock populations, and to assess the influence of host genetics on these. Dr. John Harding teaches undergraduate students in all four years of the veterinary program. This includes core courses in swine production and diseases, as well as an advanced swine production medicine elective for students interested in pursuing careers in food animals. In the final year of the program, clinical rotations are available to encourage students to apply knowledge gained through didactic classes to real-life situations. Dr. Harding consults with veterinarians throughout western Canada on challenging issues pertaining to emerging and common diseases impacting the swine industry, particularly related to diagnostic methods. 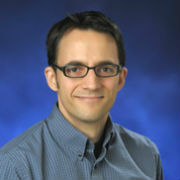 Dr. Harding was awarded the Pfizer Carl J. Norden Distinguished Teaching Award in 2009. Dr. Michael Murtaugh graduated in 1973 from the University of Notre Dame with a BS in biology, then served in the Peace Corps for two years in Maracay, Venezuela, at the Centro Nacional de Investigaciones Agropecuarias, carrying out research on noninsecticidal methods of pest control for yield improvement in maize. He was awarded the PhD in entomology from Ohio State University in 1980 with a dissertation on the regulation of egg laying in the house cricket, Acheta domestica. From 1980−1985 he was a postdoc in the Department of Medicine, University of Texas Medical Center at Houston, in cell and molecular biology, with a focus on gene expression in macrophages. Dr. Murtaugh joined the Department of Veterinary Pathobiology at the University of Minnesota in 1985 and established a basic and translational research program in molecular mechanisms of disease resistance in food animals. Working with a supportive swine industry and the swine medicine faculty, he made important contributions to cytokine biology, molecular diagnostic tools for bacterial pathogens, and porcine pleuropneumonia pathogenesis. His lab has made extensive basic and translational contributions to the understanding of porcine immune responses to PRRSV, viral evolution, and viral genetic diversity. 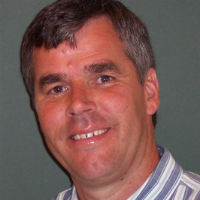 He was the director of the PRRS Coordinated Agricultural Project from 2004 to 2008 and has lectured extensively on PRRS immunology, vaccinology, and diagnostics throughout the world. Recently his lab has initiated a programs to elucidate the immunological interaction of swine with porcine circoviruses, porcine epidemic diarrhea virus, and Senecavirus A. In addition to an active research program that provides a home to undergraduates, graduate students, postdocs, and visiting scientists, Dr. Murtaugh provides community outreach with molecular biotechnology workshops for educators, professionals, and international scientists. 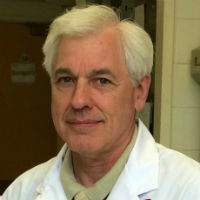 His contributions have been recognized through the CVM Pfizer Award for Research Excellence (four times) and the University of Minnesota Inventor Recognition Award in 2005, a University Innovations Award in 2011, the Allen D. Leman Swine Conference Pijoan Lectureship in 2008, American Association of Immunologists, AAVI, Distinguished Veterinary Immunologist, 2012, and a CVM Outstanding Teacher Award in 2014. 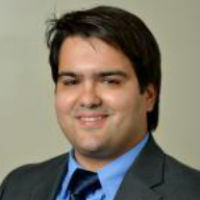 Dr. Rovira grew up in Barcelona, Spain, where he obtained his DVM (2000) and MS (2002) degrees. After that he moved to MN and obtained his PhD degree in swine diagnostics and epidemiology (2007). Dr. Rovira has been working as a large animal diagnostician at the University of Minnesota Veterinary Diagnostic Lab (VDL) since 2008. His diagnostic service responsibilities include supervising diagnostic submissions to the VDL, managing specific client accounts, representing the VDL in collaborations with external partners, and participating in the validation of new diagnostic tests. Diagnostics is a fast-changing field, and one of Dr. Rovira's priorities is to stay current in all aspects of diagnostics to provide the best solutions to the swine industry. Dr. Rovira's philosophy of diagnostic service involves personalized consultation on food animal diagnostics with an emphasis on utilization of the best diagnostic tools available. In addition to diagnostic service, his position includes a small research component dedicated to infectious diseases of swine and a small teaching component. Nick Serão grew up in Brazil and received BSc. (Animal Science; 2007) and MSc. (Breeding and Genetics; 2009) degrees from the Federal University of Viçosa, and a PhD in Animal Science (focused in Statistical Genomics) from University of Illinois at Urbana-Champaign. After 2.5 years as a Postdoctoral Research Associated at Iowa State University, working on genetics and genomics of swine health, he was on the faculty at North Carolina State University from 2015 to 2017, working on swine and cattle health, and statistical methodologies. Since March 2017, he is an Assistant Professor of Swine Genetics at Iowa State University, where his research focuses on the genetic and genomics bases of swine health, reproduction, and mortality, and on statistical methodologies for genomic and experimental analyses. 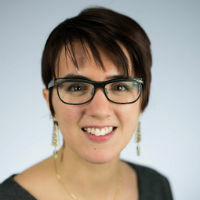 Dr. Montse Torremorell is an animal health expert with emphasis in infectious swine diseases and strategies to improve the health of swine systems. Her research involves the understanding of influenza virus transmission and the factors that contribute to virus spread and establishment of endemic infections in populations. 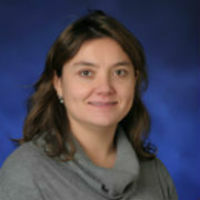 Understanding influenza virus epidemiology, ecology and control in complex swine systems is a priority of her research. In addition, her research also centers on understanding PRRSV transmission and strategies to prevent and eradicate the virus in geographical regions. 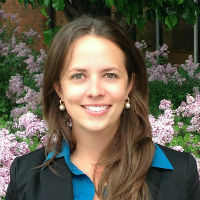 Kristin Whitworth is a research scientist at the University of Missouri. She completed her BS in agriculture from Illinois State University and an MS and PhD from the University of Missouri. Kristin focused her PhD work on transcriptional profiling pig preimplantation embryos and extraembryonic membranes and on the use of histone deacetylase inhibitors to improve cloning efficiencies. She is now heavily focusing her research efforts on the use of gene-editing tools such as CRISPR/Cas9 to create pig models for disease resistance and biomedicine. Upon completing your online registration, you will receive an e-mail confirmation of your registration. New registrants will be added to the course within two business days. To access the course, please visit umnadvet.instructure.com. Once you have been enrolled, your course will appear on your Canvas Dashboard. If for any reason you do not have access to the course after an enrolment day, please contact pboyer@umn.edu for prompt assistance. Depending on your device, not all features of this Canvas course may be available on the app at this time. View Canvas mobile features. This course is sponsored by the University of Minnesota College of Veterinary Medicine and Iowa State University, and funded by the US Department of Agriculture by NIFA Grant Number 2013-68004-20362.